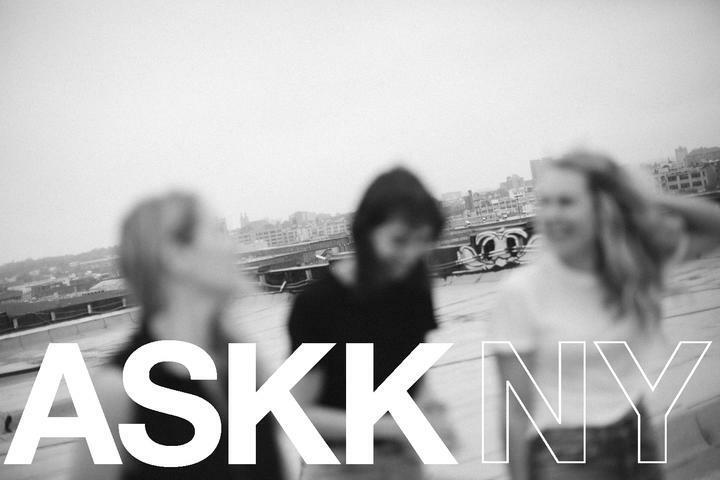 ASKK NY is the new brand that you need to get to know! Founded in 2017 by Katrina Klein and Andrea Suarez (the brandname is their initials) ASKK NY is on a mission to make great foundation pieces for every chic closet. 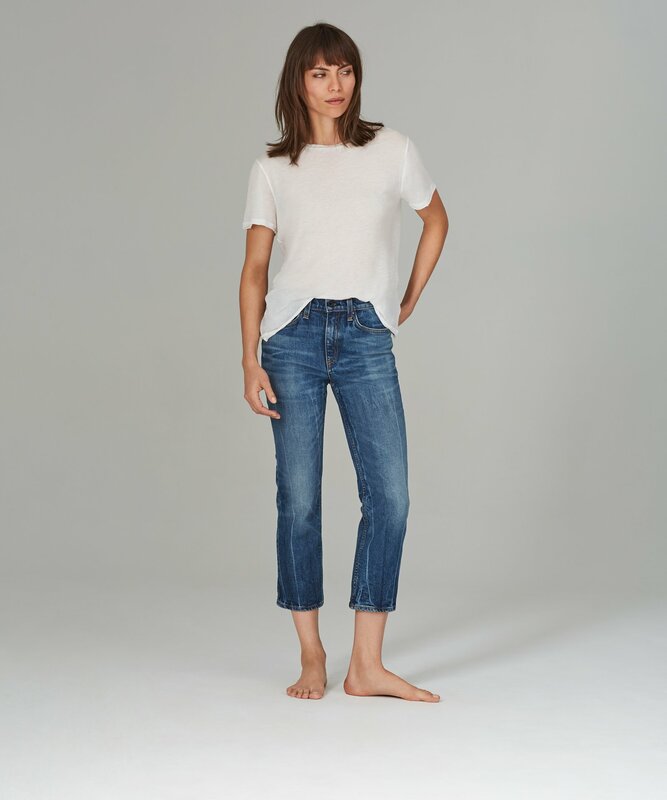 Inheriting the mantel of brands like American Apparel — that focused on quality and effortless chic instead of trend chasing — ASKK NY’s pared back collection is the perfect jump off if you are just getting into premium denim. After working at Paul Smith and Salvatore Ferragamo, founder Andrea Suarez focused on meeting the real needs of customers and not indulging to the whims of Fashion Week runways shows. Founder Katrina Klein — J Brand’s first employee — brought a deep industry knowledge and experience with Rag & Bone to the mix. Together, this alchemy of experience, knowledge, and fashion sense produced a killer first line. Their jeans are made in Los Angeles and carry the tagline, “REAL, NOT RADICAL”. While many are still seeing how they can push the stretch factor, ASKK wanted to pare it down and bring denim back to the roots. The line is big on non-stretch heavyweight-to-low stretch Japanese denim that lift and hold you in. The jeans carry vintage vibes in cuts that are modern and washes that are timeless. These are pairs that’ll make even the hard denimheads raise an eyebrow (maybe two). Check out some of the favorite styles from ASKK below and click here to head over to their site to see their full collection of denim and knits. A personal favorite among the team at ASKK. 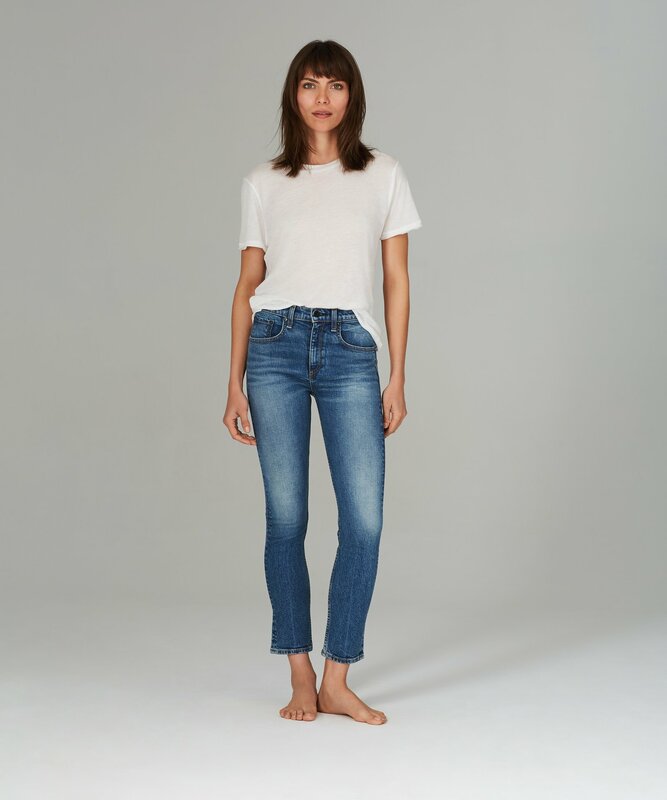 These are a classic high rise skinny with a cropped cut that is timeless and easy to style with your favorite t shirt or dressed up for a night out. Made of a heavyweight Japanese denim, these are designed to hold you and lift you in the right with it’s subtle stretch. They also come in a medium blue that’ll go with anything and will for sure become your new everyday pair. These are as classic as black will get. They are a high rise skinny style with a cropped leg and slight taper that will flatter and suit many shapes and sizes. A rarity if women’s fashion, these are made of a rigid Japanese denim. Though a non-stretch style, they are made of a super soft denim that’ll feel as though you lived in them for years, even when they are the perfect clean black that you have been looking everywhere for. The Straight in Henry is the timeless cigarette cut with a cropped leg that has an ease that’ll make you just fall in love with them. It’s the perfect pair to throw on for errands and will look great on anyone and feels casual yet smartness with the clean silhouette. The Henry wash is one that many have dreamed of. It is an amazing dark vintage wash you would go hunting for at secondhand shops. Carrying depth with the marble and whisker patterns, even the denimheads will think you wore them out yourself.